Girls Wear Blue Too: Free blog makeover resources. I spent quite a few hours this month playing around with the look of my blog, it would probably be more accurately called a blog de-clutter than a makeover and today I'm sharing some of the places I visit and tools I use when I'm making changes to my blogs decore! Most of this has been initiated by me under the influence of XOSarah who I have been reading for a while now. She is a wealth of DIY Blog information and tips. Sarahs blog is one of my 'go to' places when I want to change something here and you can also find her link in my blog list under the Coding heading. Yesterday I added some new, free social media icons from Carrie Loves Design. I like the simple elegance of them and all the pretty colours she has available pulled me in. I'm clearly going through a circle phase right now. If you want some too, pop on over and see what she has to offer. 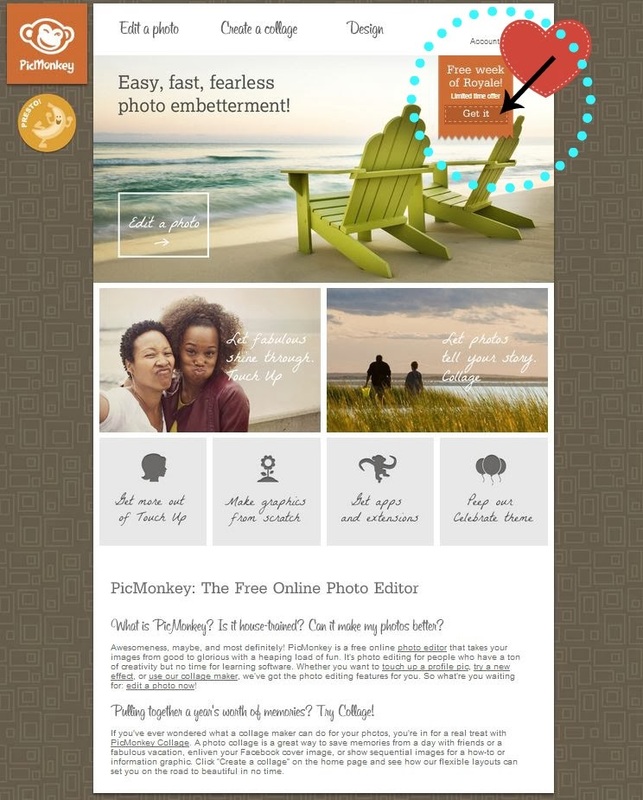 My other absolutely essential blog design 'go to' place is Pic monkey! You can edit photos and create till your hearts content, then save what you have done to your computer. They have an absolute wealth of free stuff available. I used pic monkey to create my blog banner & signature, edit my photo and create the link back text images for my pages info in the side bar. I still have a bit of de-cluttering and fine tuning to do but I'm quite happy with how its coming along and feeling just a bit clever that I have been to do it myself! I'll still be posting lovely large pictures in my content I'm just tidying up the framework around them. I should reveal that once I had been using Pic Monkeys Free facilities for a while and knew I'd be going back I decided to join which does incur a fee. I opted out of a paid membership for photo storage and reallocated my money here. This gives me access to additional elements, for me it was so many fancy fonts that I kept wanting to use and didn't have access to that attracted me, though in saying that, I do use a lot more than just their fonts! You can sample member benefits for free right now! If you look at the top right of their site you will see a one week free Royale offer they have running which will give you full access to what they have on offer if you want a little taste! If you try it let me know what you think... Happy Sunday! Thanks Tammy. I use Picmonkey but still need to take time to go through their tutorials. I'm check out that other website too. Thanks. I need all the blog help I can get. LOL!